Now Upgrade your mobikwik wallet thru your mobikwik app.. 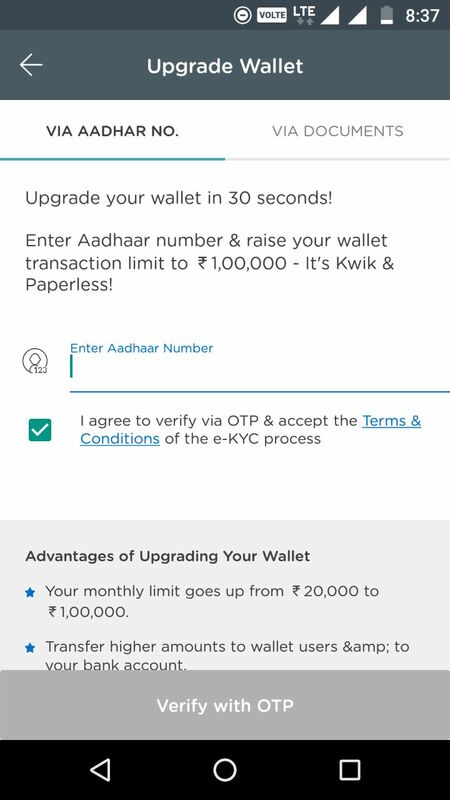 Enter your aadhar card number on mobikwik upgrade option and generate otp..
otp comes from aadhar portal..
enter that on mobikwik app and submit. your mobikwik wallet limit is upgraded instantly to 1lakh. 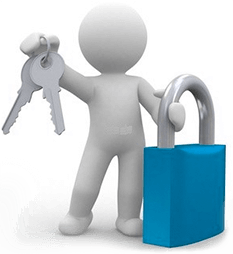 NOTE:- make sure your mobile number is linked in your aadhar card number for receiving otp. People worry to transact even Rs 5000 with mobikwik. Who will risk 1 lakh with them? Otp verification successful, but now Mobikwik representative will contact you for verification of your Thumb impression through Biometric device. What is the bank transfer limit of upgraded wallet?Any change? Anyway if verification is just with OTP without additional hassle, then this news is great. I am just cautious about MobiKwik, nothing against this deal. How can I verify my account is upgraded or not? App crashing for me when upgrade option is selected.. Please help me to open online national pension account with aadhaar. From which website? What is the process? I even worry to transact Rs. 500 with mobidick, why even 5000, they are evil. YOu are all wrong with regard to kyc and risk, even if you are kyc compliant with wallets, they are not like banks, they are just wallet, kyc is for the rbi to know the customer and how much they are spending and where and not for your moneys safety, just know that. Mobidick also has not been granted payment bank licence yet and hence they are just a wallet service and not bank. Why am I not seeing this option in the app? I just uninstalled and installed back the app. For me, it says it’ll take 48 hours for someone to contact me for the documents.